This chapel was built in 1835. It has a bell-cote and weathervane at the north end. About 1851 it was described as being located at the "Gravel Holes". In 1851 it had free sittings for about 60 attenders, and average attendances of 40 or 50 at their afternoon and evening services, according to the Census taken 30 March 1851. In 1875 is ws reported that the chapel had the "peculiarity of a bell in a turret, which proved very useful in calling the young people in from their out-door enjoyments". By 1988 it had been converted to residential use and was called "Chapel House". 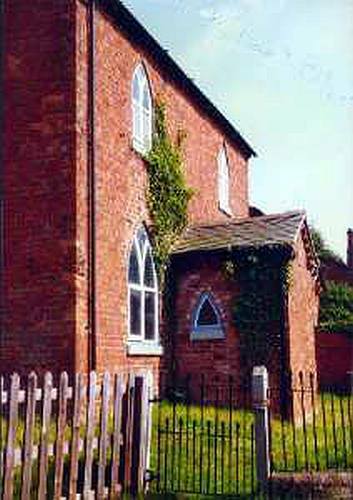 In 1851 there were two other small Methodist chapels in Dudleston Heath, one "Independent Methodist" and the other "Wesleyan Methodist".